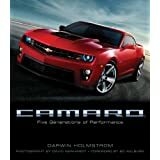 Product Description: From the introduction of the SS350 in 1967 to its most recent incarnation, the Chevrolet Camaro has earned a reputation as one of Detroit's most popular high-performance cars. This generously illustrated color history relates the story behind the automobile that was conceived to steal a share of the market dominated by the Ford Mustang. 140 illustrations, 90 in color. Product Description: Deciphering trim codes, verifying vehicle identification numbers (VIN), interpreting body codes and authenticating engine numbers will become a much easier process with this guide. 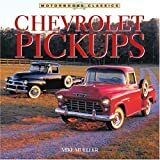 Information contained in the Catalog of Chevy Truck ID Numbers 1946-72 (Pickup, Suburban, El Camino) was compiled from a variety of sources including original manufacturers catalogs and official shop manuals. 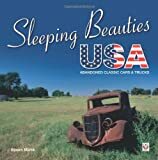 Product Description: Here is anything a car owner needs to know about Chevy V-8 engines (1955-1993). The covers blocks, heads, crankshafts, intake and exhaust manifolds, carburetors, fuel pumps, water pumps, generators/alternators, and EGR valves. Product Description: Including 1991 Suburban. 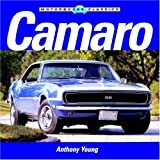 Product Description: Your complete guide to deciphering Chevy's small-block V-8 engine casting and stamping codes for all engines, from 1955 to the present. Determine the exact engine model, the year it was built, and its application. This valuable ID guide contains a complete list of dimensions and clearances for each model to aid builders in blueprinting and rebuilding. Product Description: A complete performance guide for Chevrolet's newest generation LS1 small-block Chevy engine. Includes sections on bolt-ons, cylinder heads, intake manifolds, camshafts and valvetrain, fuel injection, block prep, final assembly, exhaust, and forced induction. Product Description: Tom Benford. Of the five generations of Corvettes, the C3 or 'shark' models are among the most popular with do-it-yourselfers. 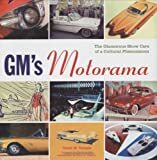 Product Description: From the first Corvette built for General Motor's 1953 Motorama to the Sting Ray III of the 1990s, Corvette Prototypes and Show Cars Photo Album features four generations of Corvette prototypes and motor show cars. The evolution of America's most popular sports car is recorded in photos of engineering models and prototypes, motor show cars, and factory-modified production cars. Product Description: Covers U.S. and Canadian models of Chevrolet Silverado and GMC Sierra Pick-ups(1999-2006 and 2007 Classic models), Chevrolet Suburban and Tahoe, GMC Yukon, Yukon XL, Sierra Denali and Yukon Denali (2002 and 2006), Chevrolet Avalanche (2002-2006) Two and four-wheel drive, gasoline engine versions. Product Description: Covers all U.S. and Canadian models of Chevrolet Malibu. Product Description: Manual contains hundreds of photographs and illutrations of repair procedures. Trouble codes, wiring diagrams, factory maintenance schedule and glossary are also included in each manual. Product Description: This Huntington classic will help you understand how things were done in 1951! Explains the V-8 family tree, planning the job, block mods and assembly, cylinder heads, intake manifolds, and carbs, ignitions, superchargers, estimating horsepower, and how to get the most performance for your money. Original edition 1951.